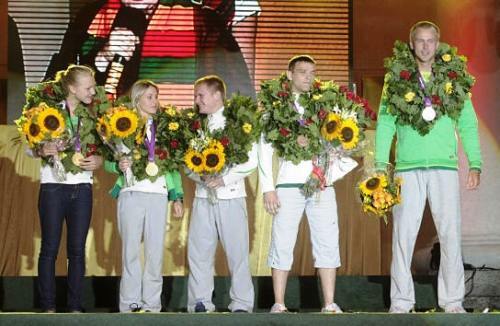 The Lithuanian team came back from the 2012 Summer Olympics in London with 2 gold medals, a silver and 2 bronze medals. This total of 5 medals matched Lithuaniaā€™s previous Olympics achievements in Sydney 2000 (2 gold, 3 bronze) and Beijing 2008 (2 silver, 3 bronze), but the gold/silver mix was the best ever since Lithuaniaā€™s independence. 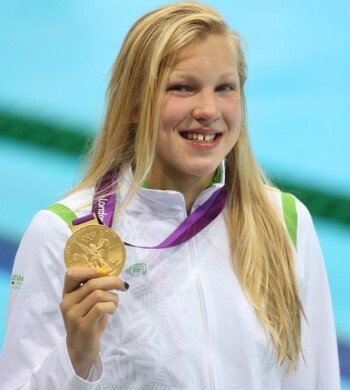 The gold medals were won in swimming by RÅ«ta MeilutytÄ— and in modern pentathlon by Laura AsadauskaitÄ—. RÅ«ta MeilutytÄ— became a darling of the sports world after her win. (Please see more on RÅ«ta on this website in News/ Lithuania in the World - August 5, 2012). Laura AsadauskaitÄ— did not just win the gold, but also broke the Olympic record! Interestingly, Laura is married to Andrejus Zadneprovskis, one of her coaches and himself a pentathlon champion, with a silver in the 2004 Athens Olympics and a bronze in Beijing in 2008.